(Lanoka Harbor, NJ) May 8, 2012 - This month, the 2012 Universalist Convocations will gather at the historic site where Universalism was launched as a leading American religious movement more than two centuries ago, at the Murray Grove Retreat and Renewal Center. Because of revived popular interest in Universalism today, the Convocations have begun to fill overflow capacity beyond Murray Grove, as people nationwide travel to hear leading Universalist figures speak from a wide range of faith traditions. In this contemporary religiously pluralistic landscape, Universalism has come for many believers to signify a distinct change in the tide and tone of interfaith dialogue, in particular. Located in the Pine Barrens of coastal New Jersey, Murray Grove marks the spot where a shipwrecked Universalist preacher stumbled ashore in 1770. From there, he began spreading the radical religious message of a loving spirit that included each and every soul in the reach of a saving grace, traveling throughout the American colonies and establishing churches. Universalism had achieved considerable religious prominence by the mid-nineteenth century before receding from view in the twentieth. Its visibility is once again changing, however. Recently and rather rapidly, Universalism has gained ground across the country, with a few of the most famous preachers in the country identifying themselves with this latent American religious tradition, even in the face of heated public controversy and charges of heresy. Bestselling books such as Love Wins and If Grace is True have made explicit the Universalist truth claims that were quite often implicit in mainline Christianity in America. They have started to articulate a unique vision for religion in the twenty-first century. Revitalized as an ecumenical and interfaith movement, Universalism is now crossing customary religious divides and connecting strands of religious thought among clergy from varied faith traditions. 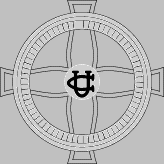 During this annual convention, a Jewish Universalist, a Hindu Universalist, a Buddhist Universalist, a Quaker Universalist, and a Unitarian Universalist will all serve as panelists in the keynote presentation at the 2012 Universalist Convocations. This re-emerging theological trend continues to expand its influence year after year, with this year's annual convention representing a new high-water mark in the widespread national appeal of Universalism. In response to increased demand, a follow-up event at Murray Grove is already in planning stages for fall 2012. Presenters will be available for interview on site. Presentations will be available on podcasts and MP3 files. A follow-up event is in the planning stages for next fall, 2012.